I have had the great privilege to serve on the City Market Board for six years, and as your Board President since February. I am honored to run for a third term this year. 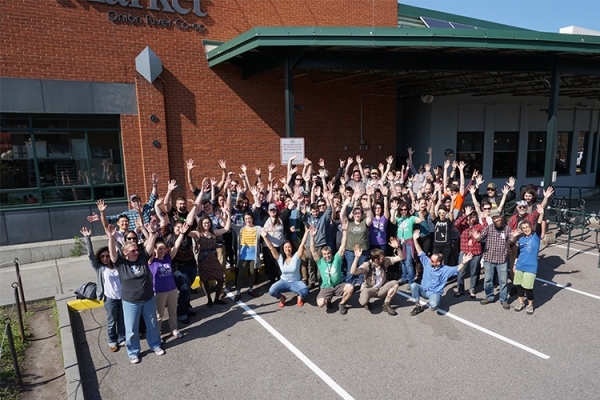 My involvement with City Market began ten years ago when I became a member and also got a job as a cashier on the front end within a month of moving to Burlington. After ten years of being a member and engaging with the co-op, I continue to grow more and more passionate about City Market and our role in the greater Burlington community. City Market has had a big couple of years! As we continue to settle into having two stores, I am excited to reflect on what we have learned, and to dig deep to ensure we are continuing to operate with integrity and intention for our members, our staff, and our community. I am also excited to look forward and develop a vision of what the future holds for City Market. In addition this big picture perspective, I take pride in the work the Board does to ensure the co-op remains fiscally responsible and to look within to consistently improve as a Board. As a current Board member, I have six years of experience balancing the co-op’s business needs and its mission. In that time, I have learned a lot about the co-op’s finances and what it takes to run the business aspect of City Market, as well as what it takes to fulfill our Global Ends and truly serve our community. I continue to deepen my understanding of the business and mission aspects of the co-op by attending special trainings for co-op Board members multiple times each year. In my professional life, I have worked at Hunger Free Vermont, an organization committed to helping Vermonters access food with dignity, for the last seven years. I help lead both our mission-driven work and the management of budgets, staff, grants, and the other business components of running a nonprofit. I see the business and mission components of any organization, including City Market, to be interdependent and equally important. My work requires strategic thinking, the ability to ask tough questions, and the ability to really listen and hear what others are saying. I utilize all of these skills on the City Market Board and see them as crucial to a high-functioning board. 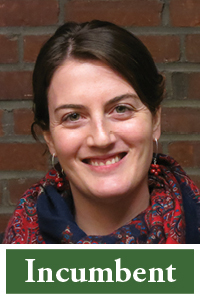 In addition to working at Hunger Free Vermont and serving on the City Market Board, I also represent City Market as the Board President of the Neighboring Food Co-op Association. The NFCA is a co-op that serves food co-ops throughout the Northeast, and as a Board member I have learned a lot about the cooperative movement and how to identify common needs among a diverse group. 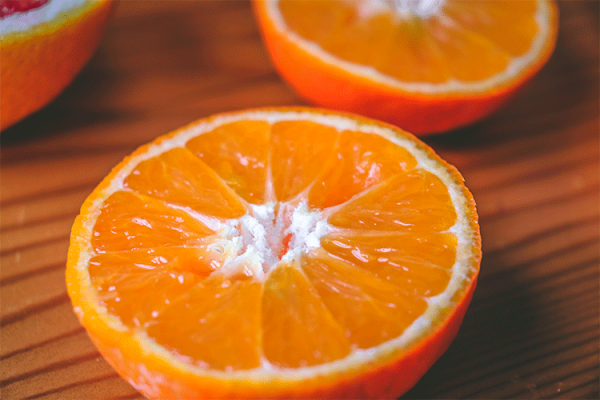 The membership, day-to-day operations, and challenges for co-ops can look very different, but they all share common ground in their mission to connect their community to good food. Each co-op has some insight or practice to offer another co-op. I’ve learned to listen, to find those insights and practices, and to help amplify those voices so that new connections can be made and co-ops can learn from each other to grow and move forward together. I have developed and used those same listening and facilitation skills in other volunteer experiences I’ve had, including leading a community garden in Burlington’s Old North End where neighbors of all different backgrounds and gardening skills came together to grow food in their own neighborhood. 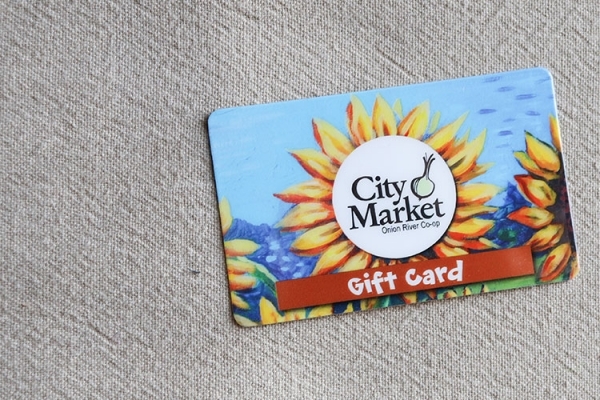 In the last year, City Market has charted new territory by opening a second store in the South End. So much has changed with this transition - from staff structure to the way we order and store food. Staff have worked so hard, really listened to the community and to members, and have led with such integrity; I am so proud of all they have accomplished. While the doors opened last November, we are still learning, adjusting, and settling into a new normal. The co-op needs to both take the time to reflect and learn from this period of transition and also look ahead to develop a vision for what we want City Market to become. How can we learn from our growth and apply it moving forward so that we continue to serve our community and deepen our impact, while remaining fiscally prudent and responsible to our membership? This is the big question we need to be asking, and we are. Within the Board, there is also work to do to ensure that the Board is welcoming, inclusive, and truly represents our community. We are starting work on that this year, and know it will be an ongoing journey. Click here to view Faye's resume!